The 7 Minute Workout app is the #1 fitness app in 127 countries. Become your own personal trainer to lose weight and get fit with fast, simple daily workouts. 12 high intensity bodyweight exercises. 30 seconds per exercise, 10 seconds rest between exercises. Featured by Apple in the best "Apps for Health". Lifehacker chose 7 Minute Workout in "The Best Apps That Integrate With iOS 8's HealthKit". User reviews : "Beautiful, simple, perfect." & "Useful and beautiful!" 7 Minute Workout Features: * Inspired by the 7 Minute Workout that was originally published in ACSM'S Health & Fitness Journal and then covered by the NYTimes. * Free workout plan gives you a full-body challenge for improved fitness and weight loss. * Voice prompted, so you can complete the entire workout without looking at a timer or device. * See video and text descriptions of each exercise. * Time your workout with prompting for each new exercise and breaks. * No confusion on what exercise to do next, or how to do it. * HealthKit integration. Upgrade to: * See a workout log. * Create custom workouts. * Set the duration per exercise. * Set the rest between exercises. * Adjust the number of sets. * Randomize the exercises. * Get additional routines. Unlock alternative workouts. In just seven minutes daily you can improve your fitness and get in shape! Become your own personal trainer with the Wahoo 7 Minute Workout. Download 7 Minute Workout and begin your journey to a better you! Can you hear like a teenager? Have you listened too much loud music? Do a quick and simple test to determinate your hearing age. Let’s try to find out what frequencies you are able to hear. You might be surprised if your ear is much older than yourself. Discover daily fitness training and yoga routines, recipes for better nutrition, and ways to improve your strength, mindfulness and sleep with the All Day app from adidas. Build new habits and improve your well being with the All Day activity tracker. Set your workout plan and track your metrics including calories burned, steps walked and distance run. Log your activity throughout the day, set reminders or add your gym sessions, yoga classes and other workouts. Designed by health and fitness experts, All Day delivers you insights and inspiration for better movement, nutrition, mindset and rest in short, effective video or audio sessions, called “Discoveries”. MOVEMENT • Discover workout plans to improve your strength or running, or learn new yoga routines in videos guided by experts • Choose the type and number of workouts to fit your weekly goals NUTRITION • Nourish your body with recipes for better nutrition and hydration • Redefine healthy eating with easy to follow recipes that boost your energy • Try new flavors with easy to make bowls and meals MINDFULNESS • Cultivate a balanced mind with exercises in mindfulness • Practice being positive and present with guided meditation • Reduce stress and anxiety with new breathing routines SLEEP • Recharge with techniques for rest to gain more energy throughout the day • Fall asleep faster and sleep longer with curated playlists Whether you’re a beginner or a pro, Discoveries let you try out only what interests you—from how to improve your running with yoga, to how to sleep better, to how to make a quick, nutrition-packed breakfast. ¿Quieres perder peso de forma rápida? ¡Descubre cómo lo puedes conseguir de una forma muy fácil, como nunca antes hayas imaginado! Visita nuestra página de Facebook donde se da apoyo a las personas que están utilizando esta aplicación y donde tienen la oportunidad de explicarnos sus experiencias exitosas en su vida real. También puedes leer los comentarios del foro de la aplicación en Mumsnet (Busca la aplicación de ‘Easyloss’ Banda Gástrica Virtual con Hipnosis para ambos foros). Descubre porque esta aplicación se está convirtiendo rápidamente en un fenómeno global. La Banda Gástrica Virtual con terapia hipnótica ha sido reconocida por la CNN, el diario Daily Mail, la BBC, la revista Chat, la revista Vogue, Metro y Marie Claire. Este fenómeno Americano, Británico y ahora Australiano, de pérdida de peso rápida, está ahora disponible en la versión en Español. Puedes gastarte cientos o miles de euros/libras/dólares en una terapia de hipnosis con Banda Gástrica Virtual - o bien puedes descargarte esta aplicación y conseguir perder todo aquel peso que ya no quieres sin hacer ninguna dieta, en el confort de tu casa. Es tu decisión… Más de 600 libras/ 900 dólares de terapia hipnótica con una Banda Gástrica Virtual (tal y como se ha reconocido en la prensa) por sólo unas libras/dólares. Si has probado cada una de las dietas posibles y no has conseguido perder peso y mantener una estabilidad, entonces el Programa de cirugía de Banda Gástrica Virtual de Easyloss es tu solución. La app del programa de cirugía de Banda Gástrica Virtual de Easyloss ha sido desarrollada como resultado de cientos de éxitos de clientes que han perdido peso dejando de lado cuánto peso tienen que perder o cuánto tiempo han tenido problemas de peso. Ahora puedes experimentar este asombroso programa desde el confort de tu hogar. El Programa de cirugía de Banda Gástrica Virtual de Easyloss está formado por varias sesiones progresivas en relación con tus avances, mediante unas sesiones de hipnosis que van a facilitar tu pérdida de peso de una forma que jamás hayas imaginado. No vas a pasar hambre, no tendrás que realizar un cálculo exhaustivo de calorías, simplemente una manera de comer totalmente natural que te asegurara la perdida de aquella grasa que no deseas de una forma natura, segura y constante. Utilizando el Programa de cirugía de Banda Gástrica Virtual de Easyloss no podrá ser más sencillo este avance físico personal. Descubrirás lo fácil que es cambiar tus hábitos de alimentación de forma exitosa y permanente. Serás una persona más delgada, sana y en forma, sin los gastos, los riesgos o las incomodidades que suponen una operación real. Características de la app: *4 sesiones de relajación con terapia hipnótica. *Diario de ingestas diarias (realiza un seguimiento de tus comidas diarias) *Alertas de agua (realiza un seguimiento del total de agua que bebes al día) *Grupo de soporte GRATUITO en Facebook (en Inglés). Comparte online tus experiencias con cientos de personas que han conseguido exitosamente sus metas. •Bikini ABS – Belly Exercises for flat tummy and slim stomach. •With these Abs workouts you can train your belly whenever you want and wherever you want. •Only the best belly exercises for flat tummy and slim stomach. Quick and easy to train and you don’t have to use any gym equipment. •Your belly loves our Bikini Abs workouts. It is ideal for women who want their stomach to be shape all year around. •Our Bikini Abs workouts are simple to use and your body stays in good health all the time. •Workouts by Certified Personal Trainers. Get the Bikini Body you’ve always wanted using this fabulous programme from the creators of the number one bestselling Virtual Gastric Band – ‘Lose Weight Fast’ app! Following on from the success of the Easyloss Virtual Gastric Band app the Easyloss Bikini Body System will help you go from Flab to Fab in just 14 short weeks. 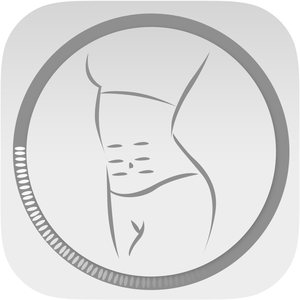 You can spend lots of time and money on faddy, short term diets which make you feel hungry and miserable or invest just a couple of £s/$’s and the Easyloss Bikini Body you want can be yours, using this app! To read more amazing Easyloss loss SUCCESS STORIES search ‘EasyLoss’ on Facebook NOW (and read the Forum on mumsnet). You could spend hundreds (if not thousands) on Weight Loss Hypnosis therapy – or grab this app for ‘peanuts’ to lose weight without dieting in the comfort of your own home! It’s your call... **** Join our Facebook Support Group NOW for ongoing support in your weight loss journey**** App Features: * 4 Unique Powerful and Relaxing Hypnotherapy Sessions (Sugar Addiction, Reprogramming, Emotional Eating, and Eating Habits Sessions) * Food Photo Diary and Water Diary (track your daily meals & water intake) * Before, During and After photo record * Personal Weight Loss and Inch Loss Record Chart * FREE Facebook Support Group - join HUNDREDS of other successful users online • Discover how easy it is to change your eating habits successfully and permanently. Get the Bikini Body you long for, without the expense of diet supplements or weekly classes... • The Easyloss Bikini Body System is a step-by-step hypnotherapy program that guides you to successful weight loss like never before. No starvation diet, no calorie counting, just a natural way of eating that helps you lose all your unwanted fat safely and steadily. DISCLAIMER: This application is intended to inform you and enhance your general knowledge in respect of weight loss, and should never be used as a substitute for medical care or advice. You must always seek medical advice for medical conditions and health issues. If you decide to apply any of the information in this application you are taking full responsibility for your actions. We are not responsible for any direct or indirect, punitive, special, incidental or any consequential damages that arise as a direct or indirect result of applying any part of this material which is provided in this application for educational purposes only and is without warranties.